Wanna See a Teaser for Noah Hawley's Directorial Debut, 'Lucy In The Sky'? Home » Film » Wanna See a Teaser for Noah Hawley’s Directorial Debut, ‘Lucy In The Sky’? Noah Hawley is finally directing a feature film, and Fox Searchlight just released the first teaser for the upcoming title, Lucy In The Sky. 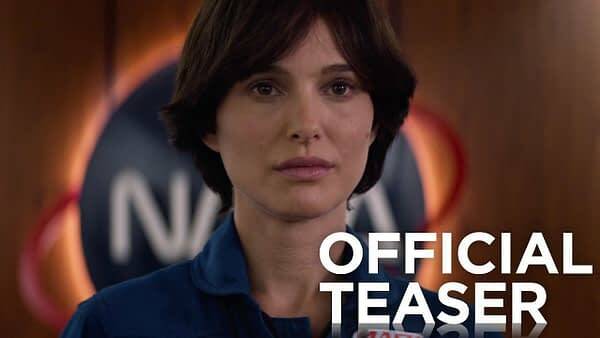 Starring Natalie Portman, Lucy In The Sky follows astronaut Lucy Cola, who returns to Earth after a transcendent experience during a mission to space – and begins to lose touch with reality in a world that now seems too small. Jon Hamm, Dan Stevens, Zazie Beetz, Pearl Amanda Dickson and Ellen Burstyn are also on cast. Hawley is directing from a script he wrote along with Brian C Brown, and Elliott DiGuiseppi. Lucy In The Sky doesn’t have a release date yet, but we’ll let you know what we hear.